I did not think I was going to enjoy this book after reading the first two chapters. My uncertainty had a lot to do with the fact that the MC, Lily Wilder, is immediately introduced as a lewd sexaholic drug user who repeatedly cheats (without remorse) on her seemingly perfect, unsuspecting fiancé Will. Another thing that bothered me was that Lily isn’t even sure she wants to marry Will. After all, they are polar opposites—Lily an outgoing, sharp-tongued lawyer with a wild side and Will an intellectual, laid-back archaeologist. But then, in chapter three, when I was introduced to Lily’s goofy patchwork family and found out that they were leery of the engagement because Lily has a big secret, I wanted to keep reading. And boy am I glad I did, because I Take You is laugh-out-loud funny, full of interesting characters and situations, and surprisingly thought-provoking. Lily’s family is good for quite a few laughs. There’s her serial divorcee father (who just can’t seem to commit to anyone), her mom, two stepmothers and grandmother. Through this bunch, Kennedy provides some insight into why Lily struggles to figure out whether she really wants to marry Will. Another memorable character is Lily’s maid of honor Freddy. The conversations between Lily and Freddy are just what you’d expect from best friends—sarcastic, candid and funny. “Do you really want my opinion? Freddy asks. I love that Kennedy made Freddy a true friend who supports Lily no matter what and without judgment. Hands down, Freddy was my favorite character. In addition to all of the great characters (many more than the ones I’ve mentioned above), there are two very interesting subplots. One has to do with Lily’s big secret, which involves an old friend who makes several appearances. The other involves a case Freddy is working on. I thoroughly enjoyed the way the case was woven into the story. These subplots deepened Lily’s character, helping me to understand her better and making her more likeable, in my opinion. Now onto the main storyline. Does Lily decide to marry Will? Does she confess all of her infidelities to him? Well, I can’t say because I don’t want to spoil the story for anyone! But what I will divulge is that she comes to an important realization and that she is faced with a shocking discovery shortly after making that decision. I can also say that I had mixed feelings about the discovery, ranging from shock and anger to sadness and satisfaction. What a great twist! 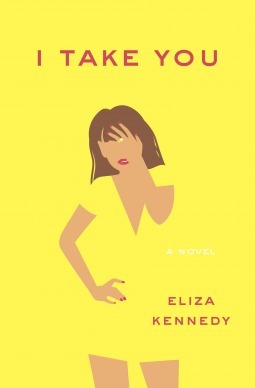 If you enjoy laugh-out-loud chick lit and aren’t easily turned off by themes of sexual promiscuity and infidelity, then I recommend this book. *Thank you to the publisher for providing me with an advanced reader copy of this book via the LibraryThing Early Reviewer program. Next postDon’t Call Me Kit Kat is just $.99 for a limited time!